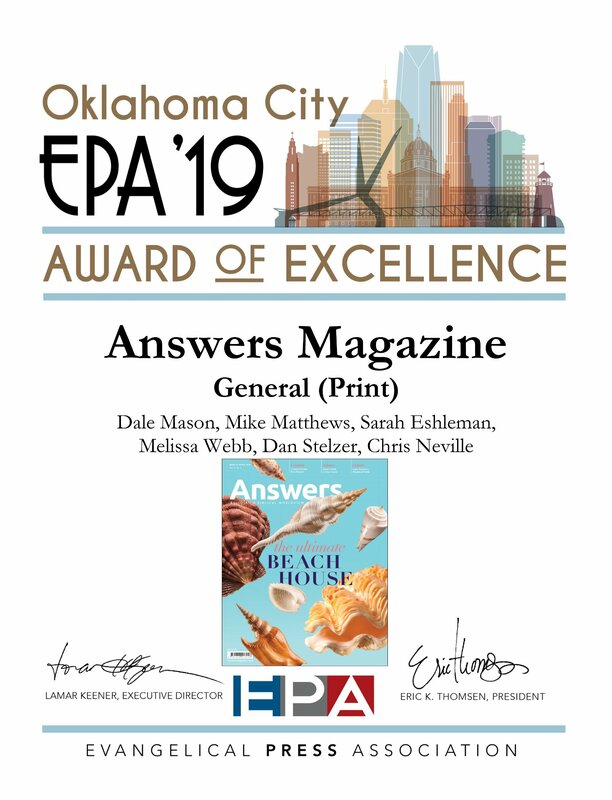 Our biblical worldview and creation apologetics magazine, Answers, the leading such magazine in the world, has just added 11 more awards—including the most prestigious, the Award of Excellence, to our list of awards, at the recent Evangelical Press Association convention in Oklahoma. These awards highlight yet again the excellence of our family apologetics magazine. In addition to the Award of Excellence, we also placed first in two other categories. In the “General Article (short)” category, we picked up a first for the article entitled “Wolves: Strength of the Pack,” and in the “Original Art (digital/mixed media)” also placed first with the cover artwork “Noah’s Ark: Could it Float?” for our July–August 2018 issue (Vol. 13, No. 4). These awards highlight yet again the excellence of our family apologetics magazine—we seek to maintain this excellence in everything we do at AiG. We also picked up eight other awards for various Answers articles and artwork, including one issue of the Kids Answers mini-magazine insert that is included with each issue of Answers. We’re blessed to receive such recognition for our Bible-upholding magazine. This publication seeks to equip families and individuals to think biblically, and to give them answers for the skeptical questions of our day. Our magazine team works very hard to ensure this resource is the best it can be, that it engages with the big issues in our culture today and that it truly helps our readers. I want to offer a big congratulations to our excellent magazine team for their hard and award-winning work. 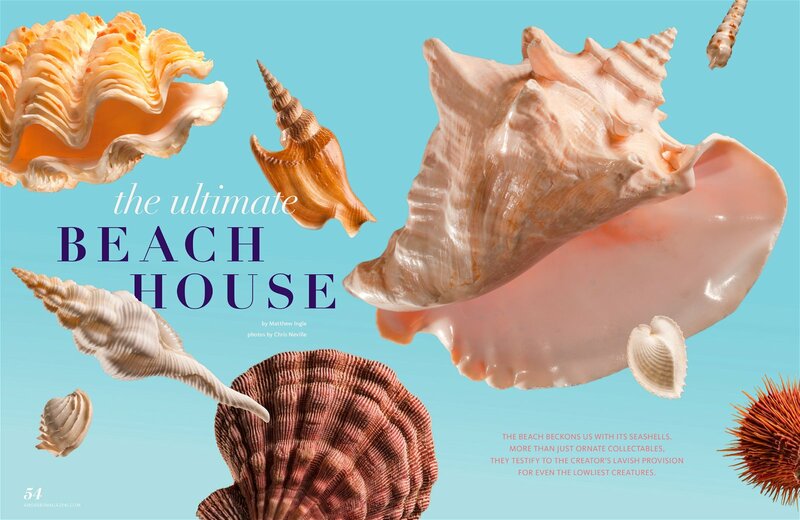 The magazine comes in both a print and searchable digital format. You get both when you subscribe. 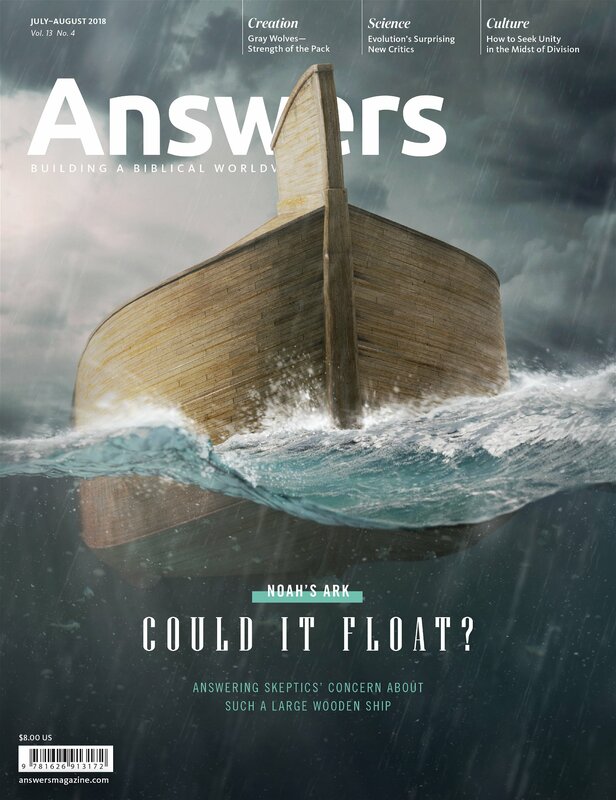 Subscribe to Answers magazine at AnswersMagazine.com.